My private lessons are based on my many years of teaching at Art Center College of Design in Pasadena and The Fashion Institute of Design and Merchandising in Los Angeles, and draw on over 30 years of professional experience in fashion design and illustration. Whether you are a beginner or an advanced student, we will work together to further your fashion illustrations in both technique and concept. I am an author of several books on fashion illustration, including 9 Heads, Colors For Fashion, and 9 Flats, all of which are used both nationally and internationally in fashion and design schools. 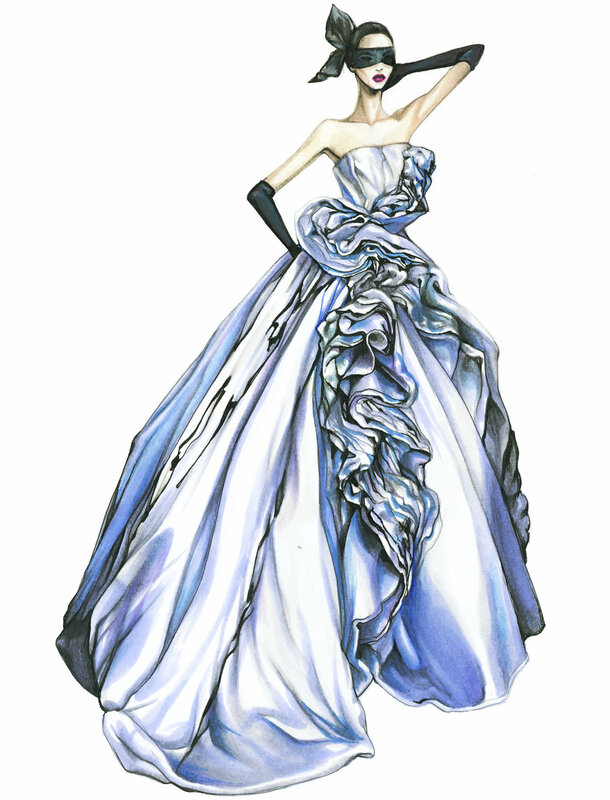 We will work one on one to help you make the best possible fashion drawings. Six lessons for two hours each totaling 12 hours of private tutoring.